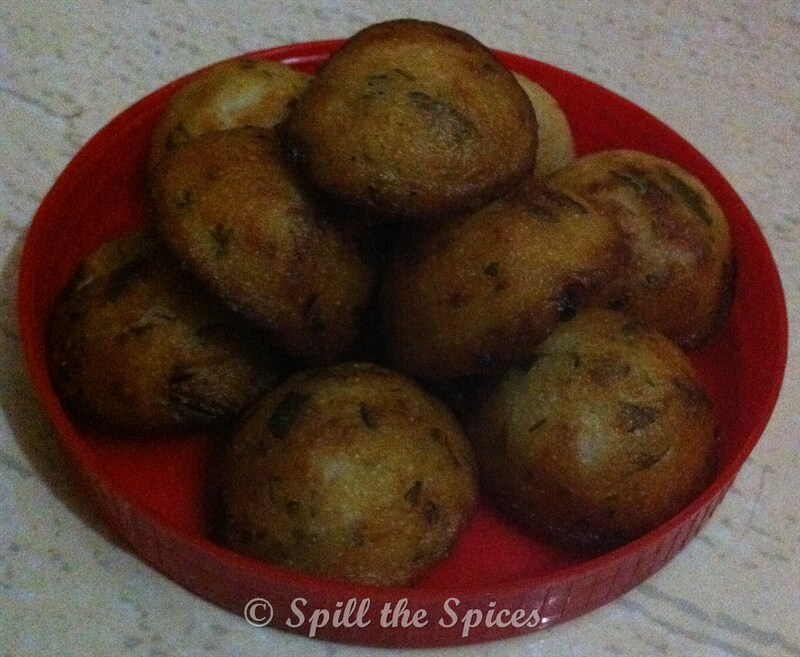 Morappam/Kuzhi Paniyaram is a delicious evening snack which is spongy & soft from inside and crispy outside. It's called Morappam because sour buttermilk is added to the batter. Traditionally, it is made by soaking rice and urad dal in 3:1 ratio and grinding it to dosa batter consistency. But you can also use leftover idli or dosa batter to quickly make them. To make Morappam/Kuzhi Paniyaram, you will need a Appa Kaarai /Paniyaram Chatti. 1. In a bowl, add dosa batter, onion, green chillies, ginger, curry leaves, coriander leaves, asafoetida, besan, rice flour, rava, butter milk, salt and mix well. 2. Heat the appa karai and add oil in the holes. Once oil is hot, pour batter into the hole. Fill only 3/4th of the hole. When one side is cooked and turns golden, flip over slowly to cook the other side. 3. When both sides are cooked and golden, remove them and place over tissue paper. Serve hot with chutney and tea. By the way , we had them with dosa podi !!! And it was yummy !! !